Currently it is the Bromyard scarecrow festival! 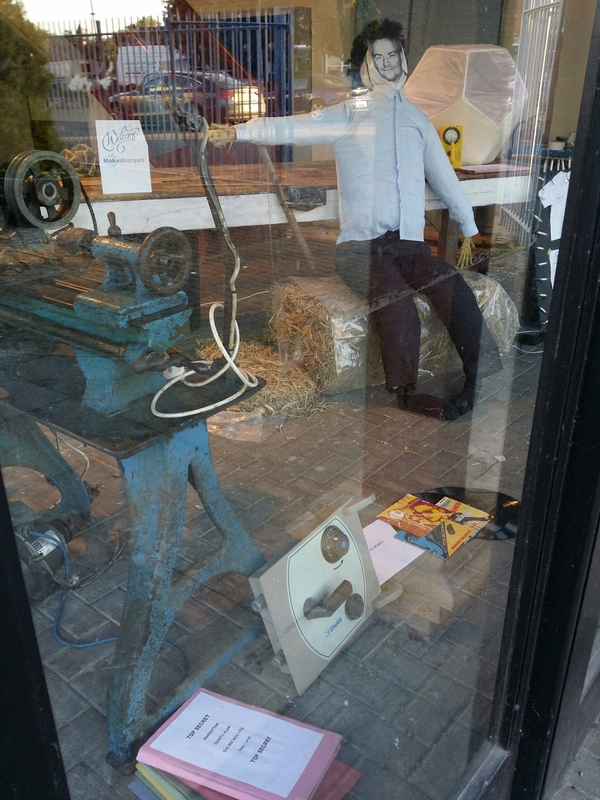 You can see our scarecrow in the ‘space window, we are number 23 on the festival route. The entries this year are superb, with several excellent examples very nearby. I think we win on cool props, but we clearly need to work on our scarecrow heads. At least we can hold our heads high – Kevin’s superb fingers are individually pointable, & we have offered a wide range of clues. Kate has already suggested next year’s entry.